Gunfire emanating from Syrian territory targets Israeli drone operating over Golan Heights, hours after Israeli home hit by gunfire. An Israeli unmanned surveillance aircraft was fired upon as it operated over the Golan Heights Thursday, hours after gunfire emanating from Syria struck an Israeli home near the border. According to the IDF, a machinegun in Syria opened fire on an Elbit Skylark drone as it was conducting an intelligence gathering operation over the Golan Heights. The aircraft was inside of Israeli airspace at the time of the shooting, IDF officials said. The drone was not damaged in the attack. 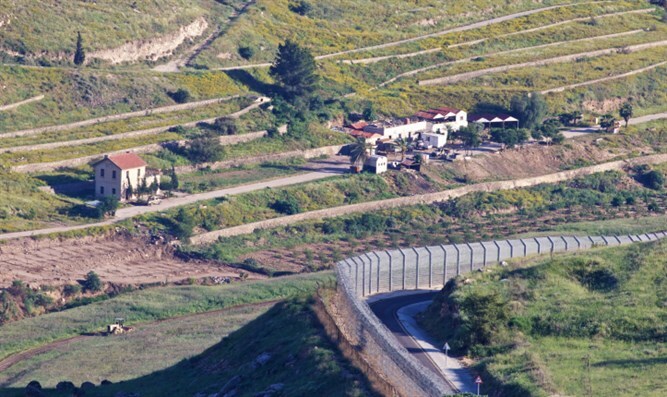 Several hours earlier, gunfire from Syria hit a home in the Druze town of Majdal Shams on the Israeli side of the Golan Heights. No injuries were reported in the incident, but the home was damaged. Israeli military officials say the shots fired at the home were most likely stray gunfire from the Syrian civil war, and not an intentional attack on the Druze town. “My daughter’s house was hit by [bullet] fragments,” Majdal Shams resident Bajjat Abu-Jabbal told TPS. Early Wednesday morning, Syria claims, Israeli aircraft struck targets in Jamraya, northwest of Damascus. The IDF declined to comment regarding the report. Following the alleged airstrikes, Syria warned of “repercussions”. “The government of the Syrian Arab Republic reiterates its warning to Israel on the serious repercussions of its attacks on Syria, its continued support for armed terrorist organizations, and its continued occupation of the Arab territories, including the Occupied Syrian Golan, and it holds Israel fully responsible for that,” read a letter from the Syrian government to the United Nations Secretary-General, according to SANA.